Studies show that home sellers who use a real esate agent to represent them generally get a better price than those who sell the home themselves. 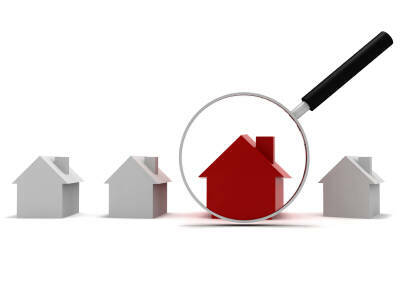 Real estate agents are up-to-date on critical processes and can help keep you out of trouble. They can also help you get your home sold at the best price in the right time frame. Equally as important, real estate agents add objectivity to an inherently emotional transaction; the sale of your home. It's important to have your home in good showing condition before buyers start going through it. Make sure the front is clean and spruced up - curb appeal will create a favorable first impression. "Pay attention to your agent's advice. Consider dropping the price if several months go by with few or no offers." 1. Declutter your home – It is important to get rid of any clutter that may be in your home. If you have appliances on your counter, remove them. If you have photographs in every nook and cranny of your home, take them down and store them for your new home. If you have too much furniture in a room it could make the room look small and crowded. The key to decluttering is to make sure to take them down and allow your buyer to imagine their things in the space. Think of a furniture store magazine. Your home should appear to be neutral and open, ready for your buyer to move in. 2. Curb Appeal – Make sure your home stands out in your buyer’s mind by having a well manicured lawn and hedges. A fresh coat of paint can go a long way in freshening up your home. Don’t neglect your front door and entryway. A clean door, and uncluttered entry make a great first impression. 3. Complete the Honey-Do List – Are there a lot of small repairs that need to be made? Go ahead and get those small things to do. No one wants to have to deal with all the things that are often neglected in home maintenance. If the garage door squeaks and squeals, repair it. If the dishwasher kickplate needs replaced, replace it. All the little things will add up in a buyer’s mind when they are deciding to purchase your home. 4. Clean the home – This one is a given. Make sure your home is top to bottom white-gloves-clean. Clean the grout in the bathrooms, wash the ceiling fan blades and blinds. Dust often, and don’t forget the baseboards! 5. Pricing - Work with your StartSmart realtor, Darrion Jones , to set the price of your home at a rate that is comparable and competitive with area homes. You may even want to throw in a few perks for buying your home like a transferable warranty, a flooring allowance, or money towards closing costs. Talk with Darrion about what is best for you and trust his years of experience to help your home sell quickly. If offers are made that don't match your hoped-for price, don't reject them offhand. Pay attention to your agent's advice. Consider dropping the price if several months go by with few or no offers, but if you and your agent have priced your home properly from the start, this shouldn't be necessary. Dont' get discouraged. In buyer's markets, homes take longer to sell than during boom times.